The Good Boy Lob It UFO Lobber has a super impact activated flashing ball in a ball thrower for easy long distance throwing. Ideal for dark evening play. Colours are randomly allocated. Sold singly. 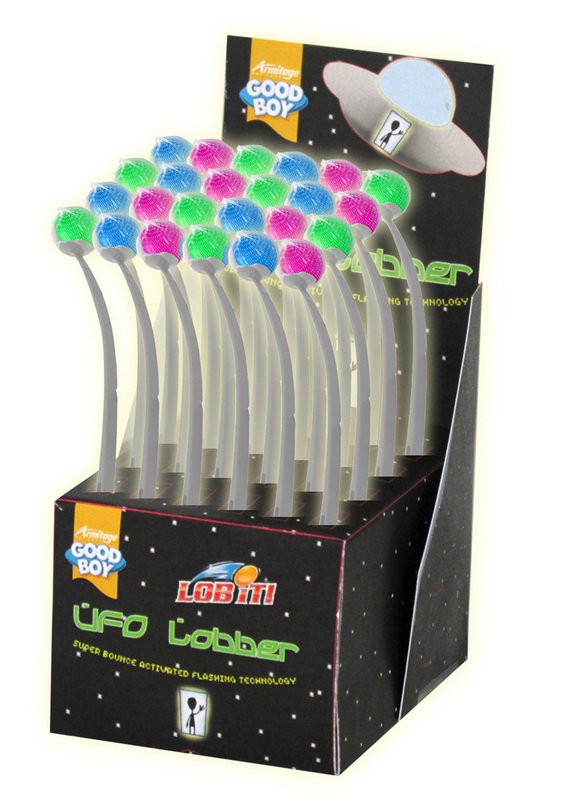 Below are some recent questions we've received regarding Good Boy Lob It UFO Lobber Dog Toy, including answers from our team. Does a ball come with the lobber or is it just the lobber? The lobber does come with a ball included.